Pakistan has regularly failed to meet conditions attached to its previous IMF loans which might have triggered tougher conditions. Islamabad/Karachi: A regular client of the International Monetary Fund, investors are asking whether Pakistan’s 13th loan program since the late 1980s will finally break a cycle of financial crashes and bailouts. Pakistan’s history of taking the lender’s money while dragging its heels on economic reforms suggest otherwise. 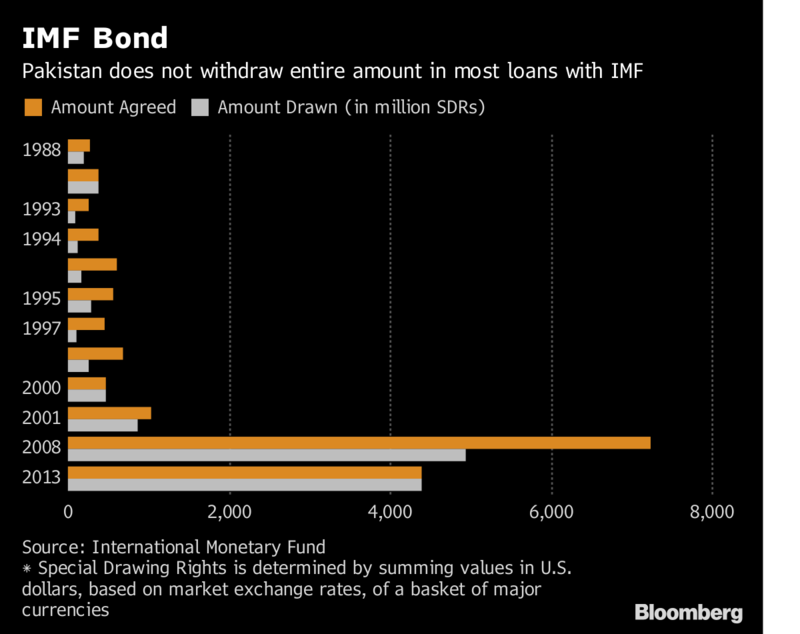 With Islamabad now formally requesting IMF aid — seeking to raise anywhere between $6 billion to more than $12 billion — it will also face more scrutiny over debt owed to China. U.S. Secretary of State Mike Pompeo has said he will oppose any use of IMF funding to repay loans to Beijing. Pakistan has regularly failed to meet conditions attached to its previous IMF loans — for example trimming spending and privatizing bloated state-owned corporations. The nation has only ever managed to successfully complete one IMF program, meaning it received all the disbursements as planned, on a $6.6 billion three-year facility that ended in 2016. Even then, a number of requirements, were relaxed. 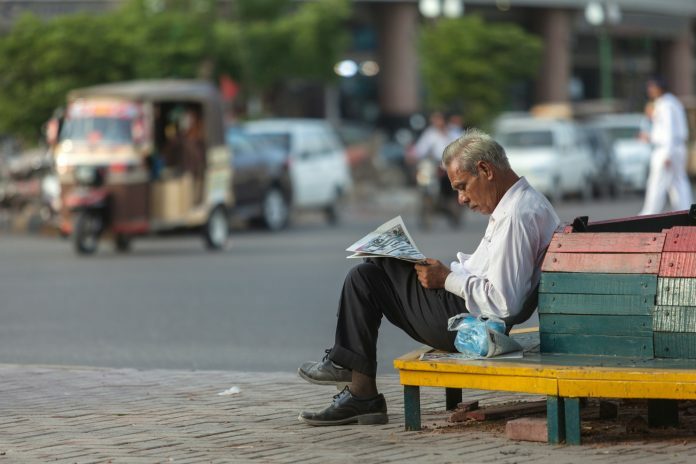 Economists have pointed to decades of inaction against widespread tax dodging across all levels of society handing the country one of the lowest tax-to-GDP ratios in Asia. In addition, the country has failed to revamp key export industries, such as textiles — which have lost out to regional neighbors like Bangladesh — or fix an energy system straining under more than 1 trillion rupees ($7.6 billion) of debt. The current crisis has been exacerbated by China’s Belt and Road initiative. Beijing has been criticized by some for pushing countries like Pakistan — which has taken opaque Chinese financing for road and power plants projects of more than $60 billion — into a debt trap. The projects have meant imports to South Asia’s second-largest economy have surged. In turn Pakistan’s current-account and budget gaps have swelled to more than 5 percent of gross domestic product and foreign-currency reserves have plunged to the lowest in almost four years. In response authorities have devalued the rupee five times since December and hiked interest rates the most in Asia. Elected in July and promising to roll out an “Islamic welfare state,” Prime Minister Imran Khan was reluctant to turn to the IMF. He criticized previous administrations for going to the lender and promised to break the “begging bowl” habit. Instead, the former cricket legend has been seeking funds from China, Saudi Arabia and the United Arab Emirates, but with little success. Muhammad Aurangzeb, chief executive officer of Habib Bank Ltd., said IMF aid will provide some “breathing space” but the tough part will be narrowing the twin deficits. There are signs Khan’s government will take a reform program more seriously after making early concessions. This week monetary authorities devalued the rupee the most in two decades after long-standing IMF observations that the currency was overvalued. Finance Minister Asad Umar told Bloomberg in August he will publish the terms of the Chinese loans. “Getting the house order is painful, but I assure you we will see better days,” Khan told businessmen in Islamabad on Tuesday. The government is also being pressured by a domineering military that has made unprecedented statements about Pakistan’s economic quandary in the past year. Having directly governed the country for almost half its 71-year existence, the armed forces continue to control foreign policy and has been accused of engineering Khan’s rise to power through political and press repression. Along with debt servicing it also takes half the federal budget. At a Karachi business conference last month, Major General Muhammad Samrez Salik said Pakistan’s economy had suffered from “negligence and incompetence” and highlighted that the country was “lagging behind in developing our economic cooperation” with Asia. Salik compared Pakistan’s $6 billion regional trade with arch-rival India’s $72 billion and added he believed Khan’s administration would drive commerce with Asia as relations with the West sour. The army’s worries increased after U.S. President Donald Trump cut military aid to Pakistan earlier this year. Trump raged that Pakistan was continuing to support terrorist groups.